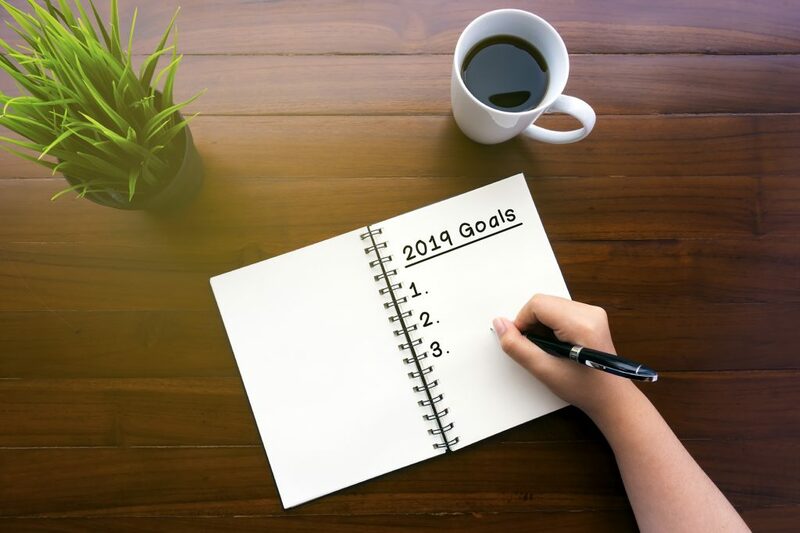 Did you know that our yearly habit of making resolutions is good for your mental health? Just the act of deciding to do things differently gives us energy, hope and a road map for how to make a positive change in our lives. Plus, it makes you feel good. Here are five ways to improve your mind and body in 2019. The benefits of six to eight glasses of water a day are a blog post unto themselves. It’s also a lot easier (and tastier) than you think to sneak more water into your daily routine. Try keeping a glass within arm’s reach and refilling with every restroom break. Using an app like one of these to track your water intake will give you a sense of accomplishment and inspire you to keep at it! This one is also not as tricky as it sounds. It’s a super easy win if you already like fruits and vegetables. You just have to make sure they’re always available. If you’re not a fan of veggies, it’s still not impossible. Try drinking juice or smoothie blends that include vegetables. You can also add pureed vegetables to sauces or side dishes. You’ll fool your taste buds, and you’ll enjoy all kinds of mental and physical health perks. Plus, if you choose fruits and veggies with high water content, you’ll sneak more water into your routine, too! We humans have a limited supply of willpower. The minute it bottoms out, temptation can easily take over. So plan ahead. Prep tomorrow’s fruits and veggies before you go to bed. Decide what you’ll order before you head to lunch with friends. Make sure your travel budget includes the bottled water you’ll have to buy after you go through airport security. Figure out what you need to do to stay one step ahead of situations that make it easy to slack off on your goals. Then follow through with your plan! We all have an inner critic who can act like a real bully. It says things like, “You’ve gained weight,” and that makes you feel defeated and depressed. But if you respond with, “You know, I do need to take better care of myself,” you can change the whole conversation from one that focuses on your failures to one that inspires you to improve. Studies show that when you share your goals and your progress, you’re more likely to achieve them. So if you have big goals in 2019, tell your friends and enlist their support. Even better, work with an MDLIVE counselor to set realistic goals and break them up into manageable tasks. You’ll get the support you need while you rack up small victories that lead to a big win!